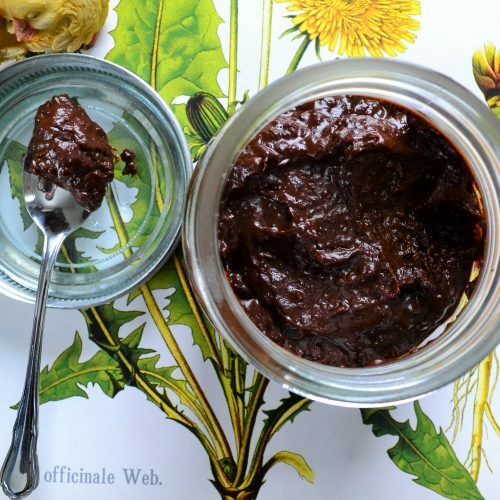 As an alternative to nut based chocolate spreads this one is date based. Because of sweetness of the dates, there is no need to add sugar or any other sweetener. Dates also contain plenty of fiber, but less calories than nuts. This variation is perfect for those who watch their calorie intake or those allergic to nuts. It is also vegan and wheat and gluten free. 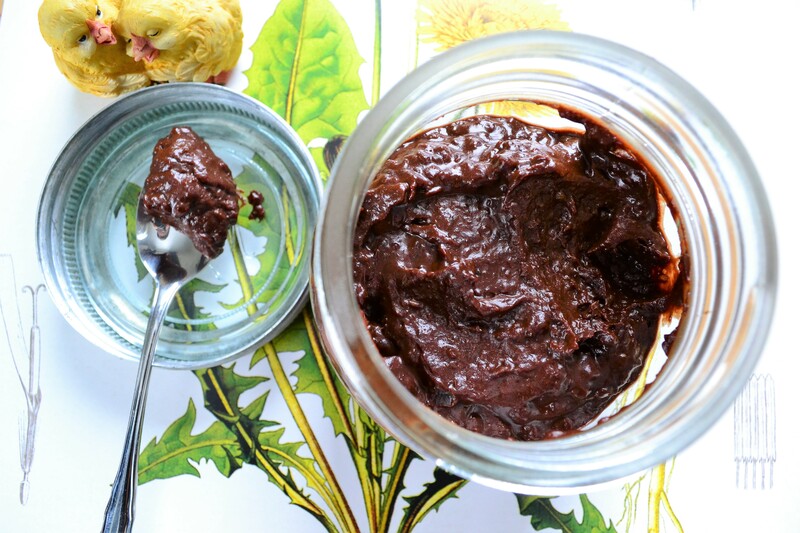 Easy, satisfying, vegan chocolate spread, sweetened with dates. Pour boiled water over dates and leave to cool for a few minutes. This will soften the dates. Place dates with any remaining water and the rest of ingredients into a food processor or a small blender and mix until desired consistency is reached. Add a splash or two of water if the paste is too thick.